إذا كنت تبحث عن فندق بموقع جيد في خليج هيرفى، فقد وجدت ضالتك في Mantra Hervey Bay Hotel . إن موقعه الجيد الذي يبعد فقط عن مركز المدينة يساعد النزلاء على الاستمتاع بمعالم المدينة ونشاطاتها. سوف يعشق النزلاء موقع هذا الفندق، فهو قريب من أهم المعالم السياحية في المدينة كمثل سبيرت اوف هيرفي باي, Creations at The Harbour, سلفر ستار فشنج . كما يقدم Mantra Hervey Bay Hotel الكثير من الخدمات لإغناء رحلتك في خليج هيرفى. يمكن لضيوف الفندق الاستمتاع بالميزات التالية على أرض الفندق: مرافق مخصصة لذوي الاحتياجات الخاصة, تسجيل وصول/خروج سريع, تخزين الأمتعة, واي فاي في المناطق العامة, صف السيارات . في الفندق غرف نوم يتجاوز عددها 153، كلها مجهزة بعناية وجمال وبعضها مزود بـ اتصال لاسلكي بالإنترنت, حوض الاسترخاء, غرف لغير المدخنين, مكيف هواء, تدفئة. يمكنك الاستمتاع بالأجواء المريحة التي تقدمها حوض استحمام ساخن, مركز للياقة البدنية, ساونا, حمام سباحة خارجي, سبا طوال النهار. إن Mantra Hervey Bay Hotel هو خيار ذكي بالنسبة للمسافرين إلى خليج هيرفى، بما يوفره من إقامة هادئة ومرحة. تبدأ ساعات عمل مكتب الاستقبال في هذا العقار من الساعة 06:30 صباحًا إلى الساعة 09:00 مساءً من الإثنين إلى الجمعة. وإذا وقعت ساعة تسجيل وصولك خارج هذه الأوقات، يرجى الاتصال بالعقار قبل الوصول بيومٍ واحد على الأقل. If you are lucky like us to get a room with the marina view, this will be the top notch experience for you. The room was super clean, well packed with toiletries and complimentary tea/coffee (although you have to go to reception each time to replenish those). The pool in the hotel is average, mostly suitable for kids. Yet the pool area is a nice (but small) place to relax when the sun is high - wind is quite strong between two towers so you will be 'ventilated' for sure. What hotel lacks is your average set of facilities: there's no house restaurant or bar, you have to go to one of three places adjacent to the hotel. They are all overpriced though, but beggars can't be choosers because there's nothing else in that location, you will need to go to the city for more options. There's no mini bar in the room (yet another Australian hotel weirdness). On the positive side, small sauna is amazing! The main piece of advice is for staff: they need to be more friendly and hospitable. We enjoyed our 4 day stay at the Mantra. The beds and pillows were very comfortable and our room was quiet. The pool was a good temperature, although it would have been nice if there was a spa. The staff were very helpful. We didn’t have a car and the nearest shopping centre is 40 mins walk away so we missed having easy access to milk/papers/food. However, there’s some great resturants/cafes nearby. Walking distance to cafes, shops, pharmacy, restaurants and the Boat Club. Courtesy coaches from other clubs/pubs will pick you up at your door. Our group of 6 adults enjoyed a marvelous weekend here celebrating a friends birthday. Cheapest price through Agoda! Great location right on the marina - very handy for whale watching tours! Comfy bed and pillows. 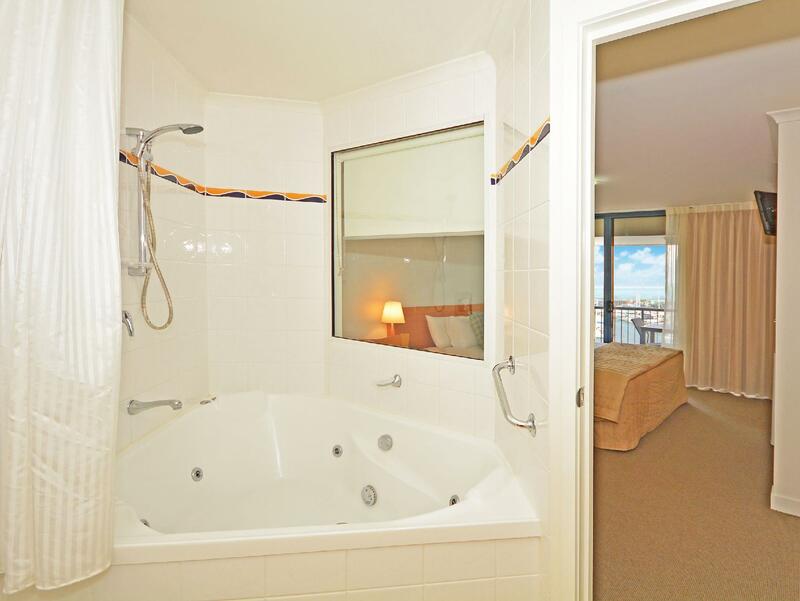 Good size balcony with great views over marina out to Fraser Island. Nice spa and great pressure hot shower all very clean! Friendly staff - Great stay all round! They went above and beyond for my parents who enjoyed their stay so much they extended it - Thank you! The best thing about this stay was a Restaurant called Cafe Balaena on the wharf nearby. I really liked the food and the staff. The accommodation itself was ok for a one night stay. However, if I was staying longer, I would have liked to have a larger balcony. The one in the room I had was tiny. The one thing that annoyed me was that you have to pay extra for WiFi. They asked for $15 for the night. In this day and age, even two-bit motels give free and unlimited WiFi. 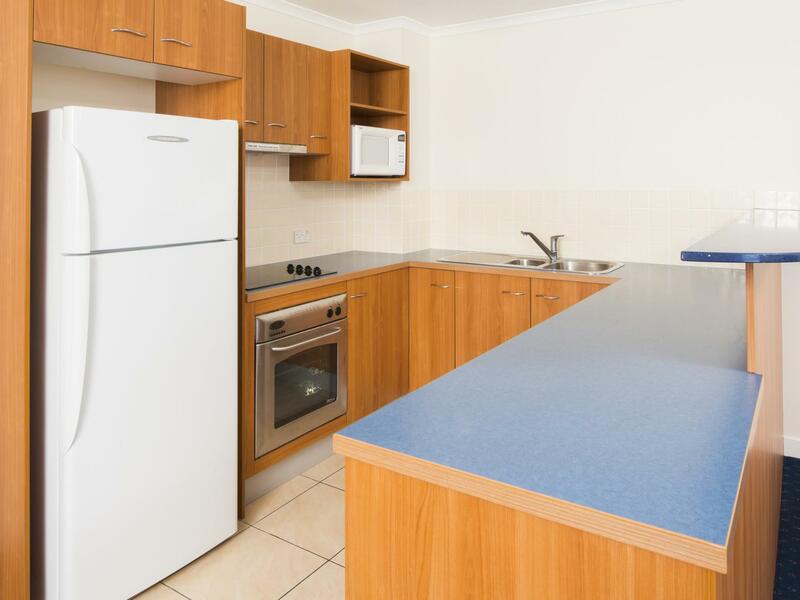 Lovely location and well equipped units made for a comfy stay. We had a pool side room which was lovely but this would get rather noisy during busy times. Bed was comfy. Well equipped kitchen. We have stayed at Mantra HB 3 times now and will stay again if we are travelling that way again. the apartment was very small, not much room in the living space, was clean and had a wonderful view. would certainly stay again but defiantly would need a bigger room next time, our room was booked for our toddler however was only really big enough for a couple. Very nice hotel, stayed a couple of nights. We were on the 6th floor which had excellent views of the ocean & all the venues below. What a magnificent scenery. The only downside is WIFI was not free. If you want access to WIFI, you need to pay $10 for 1GB, $20 for 2GB etc. The other hotels we've been to had free WIFI. Overall excellent service by the staff, the facilities given was excellent, the whole feel was excellent. We would recommend this hotel to anyone. The Mantra is right on the boat harbour overlooking the yachts and whale watching boats. Walking distance to a variety of restaurants and the boat club. A 20 minute walk to Urangun Pier. 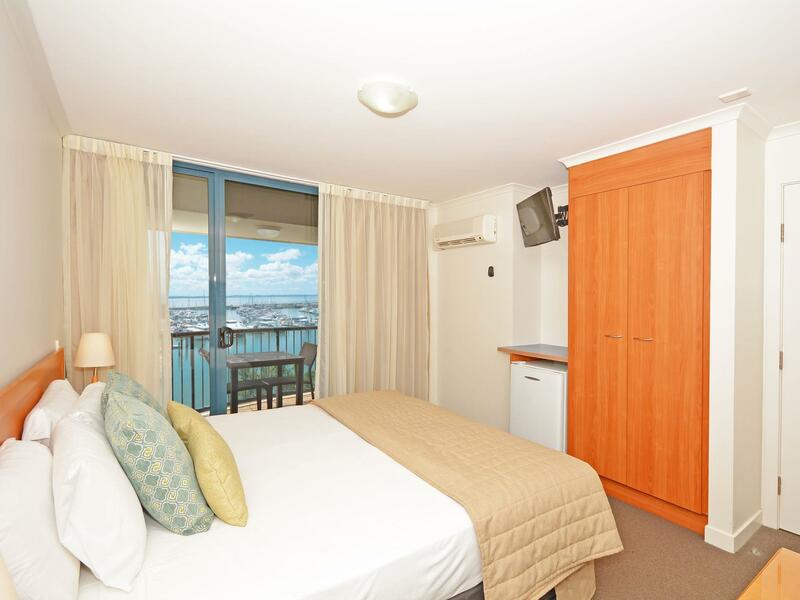 All rooms have a view of the harbour. 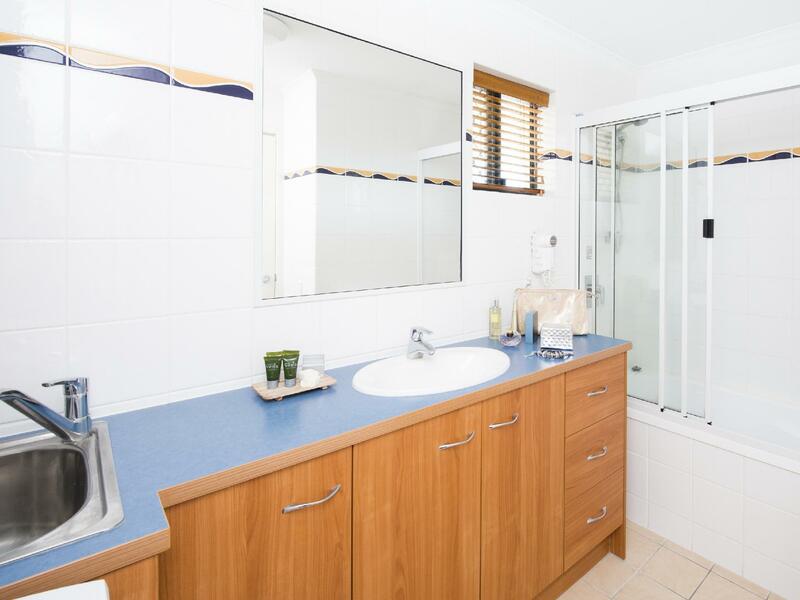 You can not get closer to water views than this of Hervey Bay! Highly recommend this location. This hotel offers you parking, swimming pool and water views and reasonably priced. Thank you to the front staff for a friendly welcome and nothing was too hard. When I requested extra towel and amenities from Cleaning staff, they were always willing to assist. Rooms very comfortable and with great view over the marina. The spa bath didn't work but was a very comfortable regular bath. As Hotel was at 100% capacity there was a bit of a wait to check in but that's understandable. A couple of biscuits to go with the complimentary tea and coffee would have been nice. Pleasantly surprised that I could hire a bike from the Mantra, might be an idea to list this on their website. Stay was uncomfortable. Faced following issues:- 1)Bathroom shower head was broken and kept falling over our head. 2)Front desk staff was not responsive of our requests. 3)Hair Dryer was broken, 4)Even room phone was not in working order. 5)No cleaning and drying facilities in the resort. Would never recommend Mantra Hervey Bay to anybody. 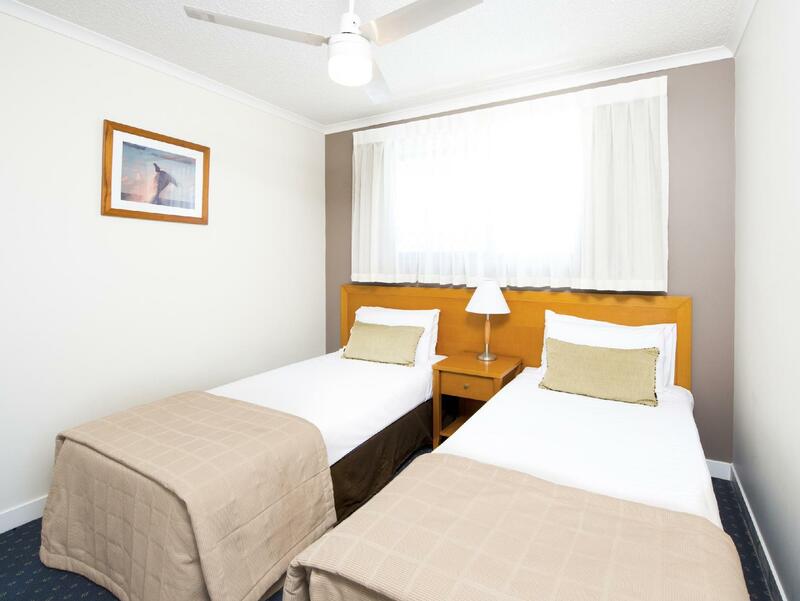 Please note: We moved from Mantra Hervey Bay to Mantra Circle on Cavil in Surfers Paradise-Gold Coast and had an awesome experience there.So the issue is with Mantra Hervey Bay.Staff needs to be more responsive of guests requirements. 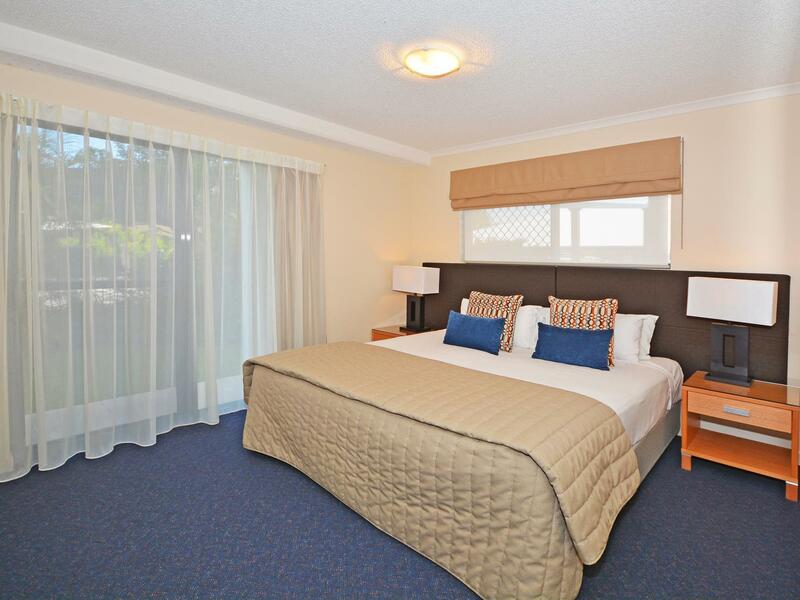 The room was tidy and clean, the bed was amazing and comfortable and the staff were super friendly! We stayed one night with our 4m/o daughter. We wished we could have stayed longer! The room was fantastic and the bed was super comfy. We were on the ground floor, but we had views of a garden in front of fence which was a bit boring and the only downside. Definitely will be back!